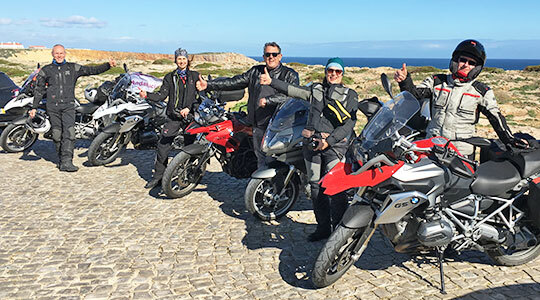 "German Technology meets German Precision"
As the specialist in premium motorcycle travel, Reuthers has been offering their clients for many years a variety of Harley-Davidson Tours. From now on, BMW's are also available globally. The company is responding to the wishes of its clients who would like to have more diversity in the choice of motorcycles. The first BMW Motorcycle Tour has just successfully taken place. Head of the company, Hermann Reuther went across Andalusia with a group of enthusiastic motorcyclists. It was clearly demonstrated that the company takes its clients wishes seriously and knows how to professionally implement them. A colorful mixture of scenic motorcycle tour, visiting interesting sights and events as well as enjoying culinary highlights turned the trip into a special experience for the international participants. After 20 years, in which trips with Harley-Davidson Motorcycles were offered, the company now is writing a new chapter on travel. Hermann Reuther sees this new step as an ideal cooperation. As a globally operating German company, it makes a lot of sense for Reuthers to work with German partners, especially BMW Motorrad, to provide clients with the highest level of quality and performance. "German Technology meets German Precision" in form of BMW Motorcycles which is demonstrated daily in Reuthers Motorcycle Dream Tours and Premium Tours. The client benefits from this by being able to put together his own personal dream trip. Whether as a Guided, Semi Guided or individual Self Drive motorcycle tour, it depends on your own personal preferences and ideas.